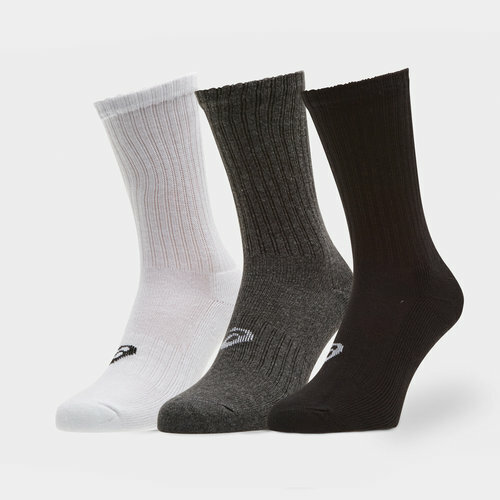 Keep your feet warm and comfortable while you train with a pair to match all outfits with the Asics Crew Sports Socks 3 Pack in White, Grey and Black. Give training your all with this comfortable pair of socks equipped to manage moisture absorbing sweat from your feet. You'll be sure to stay dry in these natural feel socks. Crafted in an ergonomic fit they come with cushioned panels that offer shock absorption and a soft landing during high-intensity workouts. The built-in arch support adds structure and comfort too.